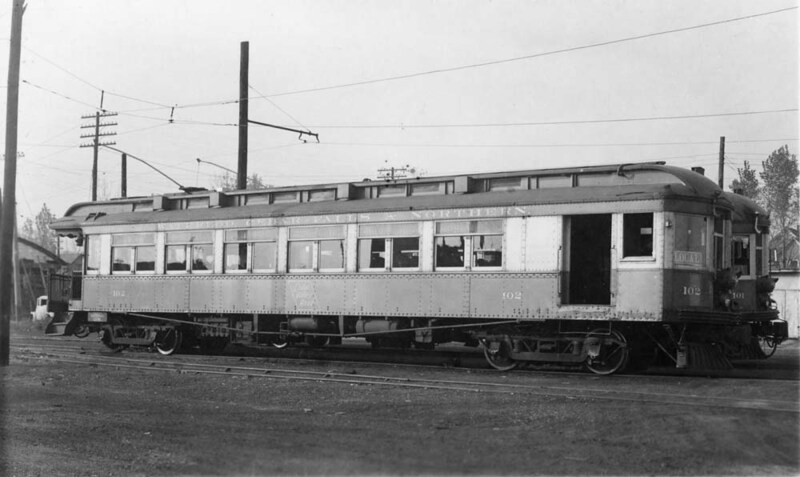 WCF&N Buffet Parlor cars No. 101 and 102 at the Waterloo shops. A Barney Neuburger photo from the George B. Patty Collection, circa 1950. The Waterloo Cedar Falls & Northern was, as the saying goes, a mighty fine line. It was an electric interurban centered in Waterloo, Iowa with three lines radiating from Waterloo – 60 miles to Cedar Rapids, 22 miles to Waverly and 9 miles to Cedar Falls. The WCF&N provided streetcar service in Waterloo and Cedar Falls. There was a belt line around Waterloo where many industries clustered. The two largest industries in Waterloo were the Rath Packing Plant, a mult-stored slaughter house mostly for hogs, and a John Deere plant for the manufacture of wheeled farm tractors. In the 1950s Columbus railfans were much intrigued with the WCF&N and many a trip was made to Waterloo to ride the interurban. For the most part the train crews were welcoming and the Columbus railfans had the run of the place even riding the freight to Cedar Rapids. The ORM members had hopes of acquiring one of the three big parlor cars. In 1954 there was a fire in the Waterloo roundhouse (yes, this interurban line had a roundhouse) that destroyed two of the three parlor cars, No. 101 and 102, along with their open observation platforms. One Ohio Railway Museum member brought a set of observation railings back to Worthington in the hopes of acquiring the remaining parlor car, No. 100. The open observation on No. 100 had been closed in 1928 hence the reason for obtaining the railings. What made the WCF&N unique among interurbans was that it was built to steam road standards. There was no difficulty handling and interchanging freight cars with the many steam railroads in the area. There were as many as fourteen freight motors at one time kept busy handling business. Because of the belt line around Waterloo the freight cars were kept off city streets unlike many Midwest interurbans of the early Twentieth Century. 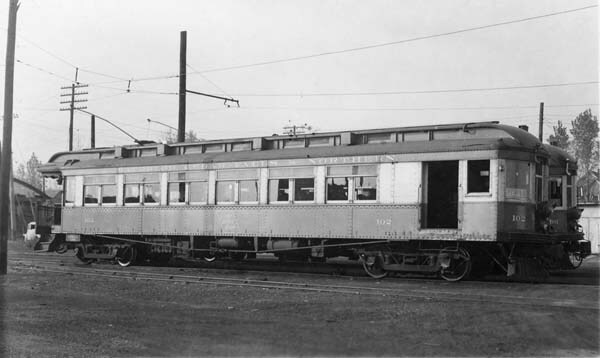 The line had large heavy interurban passenger cars including those three parlor buffet cars built by McGuire-Cummings in 1914. It the early days two car trains were often run between Waterloo and Cedar Rapids providing fast comfortable service. The roots of the WCF&N reach back to the horsecar era. Electrification came before 1900. The railroad was not totally built out until around 1915. Throughout its history the WCF&N was constantly evolving as streetcar and passenger service was cutback. One constant was the freight service that outlasted the electrification. The last scheduled interurban car to Cedar Rapids ran February 20, 1956. The last streetcar to Cedar Falls ran on August 1, 1958. The electricity was turned off as the freight service was converted to diesel and the line became the Waterloo Railroad. CERA Bulletin No. 114, Iowa Trolleys, Norman Carlson, Editor, Robert J. Levis, Research Coordinator, Published by the Central Electric Railfan’s Association – 1975. CERA Bulletin No. 118, Westinghouse Electric Railway Transportation, Reprinted by the Central Electric Railfan’s Association – 1979.